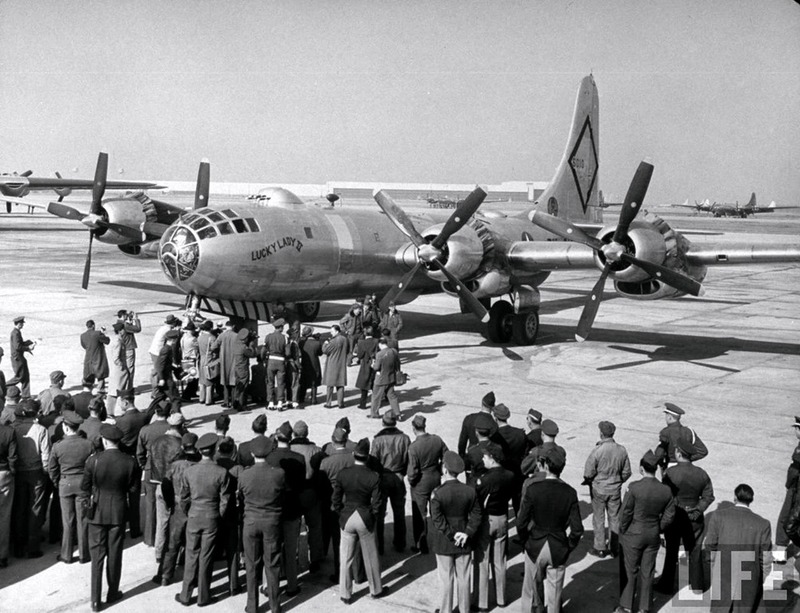 26 February–2 March 1949: A Boeing B-50A Superfortress, Air Force serial number 46-010, named Lucky Lady II, flew from Carswell Air Force Base, Fort Worth, Texas, and with inflight refueling, circumnavigated the Earth non-stop, landing back at Carswell after 94 hours, 1 minute. The bomber had traveled 23,452 miles (37,742 kilometers). 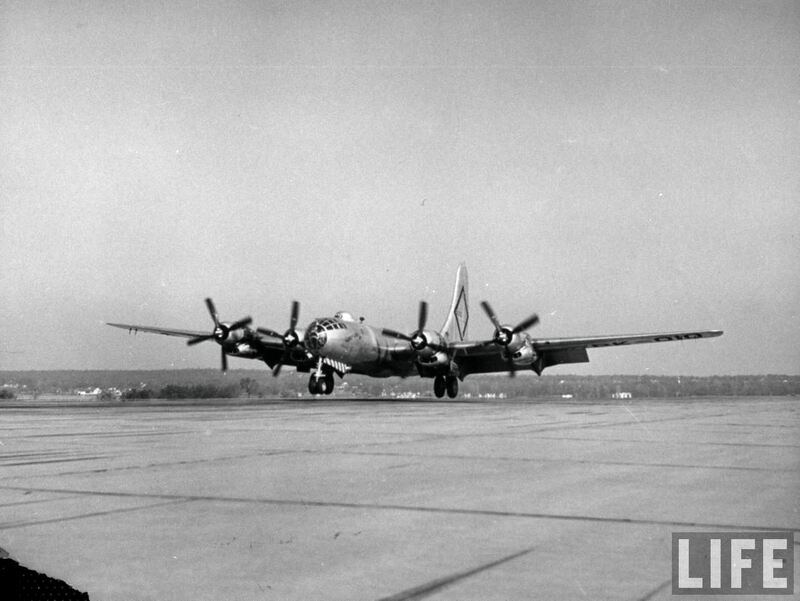 Lucky Lady II was the backup aircraft for this flight, but became primary when the first B-50, Global Queen, had to abort with engine problems. 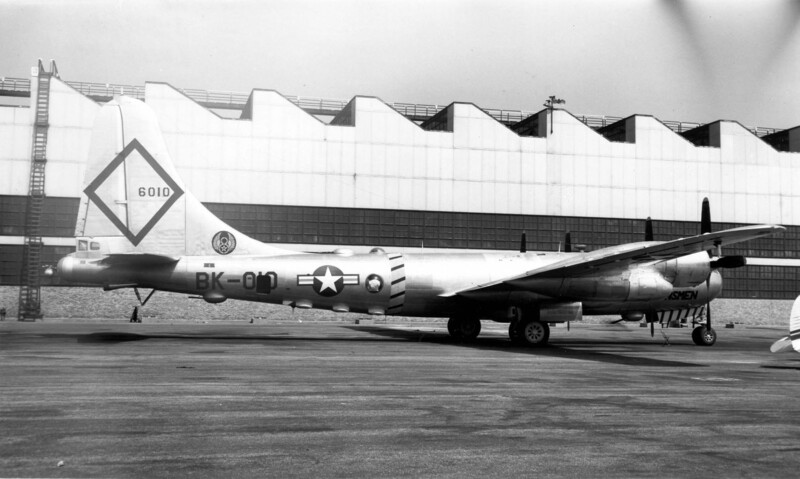 It was a standard production B-50A-5-BO (originally designated B-29D) with the exception of an additional fuel tank mounted in its bomb bay. The aircraft commander was Captain James G. Gallagher, with 1st Lieutenant Arthur M. Neal as second pilot. Captain James H. Morris was the copilot. In addition to the three pilots, the flight was double-crewed, with each man being relieved at 4-to-6 hour intervals. The navigators were Captain Glenn E. Hacker and 1st Lieutenant Earl L. Rigor, and the radar operators were 1st Lieutenant Ronald B. Bonner and 1st Lieutenant William F. Caffrey. Captain David B. Parmalee was project officer for this flight and flew as chief flight engineer, with flight engineers Technical Sergeant Virgil L. Young and Staff Sergeant Robert G. Davis. Technical Sergeant Burgess C. Cantrell and Staff Sergeant Robert R. McLeroy were the radio operators. Gunners were Technical Sergeant Melvin G. Davis and Staff Sergeant Donald G. Traugh Jr.
Four inflight refuelings were required using the looped hose method. Two KB-29M tankers of the 43d Air Refueling Squadron were placed at air bases along the Lucky Lady II‘s route, at the Azores, Saudi Arabia, the Philippine Islands and Hawaiian Islands. The KB-29 flew above the B-50 and lowered a cable and drogue. This was captured by equipment on the bomber and then reeled in, bringing along with it a refueling hose. The hose was attached to the B-50’s refueling manifold and then fuel was transferred from the tanker to the bomber’s tanks by gravity flow. Each refueling occurred during daylight, but weather made several transfers difficult. One of the two tankers from Clark Field in The Philippines, 45-21705, crashed in bad weather when returning to base, killing the entire 9-man crew. On their arrival at Carswell, the crew of Lucky Lady II was met by Secretary of the Air Force W. Stuart Symington, Jr., General Hoyt S. Vandenberg, Chief of Staff of the Air Force, General Roger M. Ramey, commanding 8th Air Force, and Lieutenant General Curtis E. LeMay, Strategic Air Command. Each member of the crew was awarded the Distinguished Flying Cross. They also were awarded the Mackay Trophy for the most meritorious flight of the year. At 11:25 a.m., 13 August 1950, B-50A 46-010, under the command of Captain Warren E. Griffin, was on a maintenance test flight and returning to its base, Davis-Monthan AFB, Tucson, Arizona when all four engines failed. Unable to reach the runways, Captain Griffin landed in the desert approximately two miles southeast. Though the landing gear were down, the bomber was severely damaged with all four propellers bent, the belly dented and its tail breaking off. The 11-man crew were uninjured except for the bombardier, 1st Lieutenant Theodore Hastings, who was scratched by cactus which entered the cockpit through the broken Plexiglas nose. The Superfortress was damaged beyond economical repair and was stricken from the Air Force inventory (“written off”). 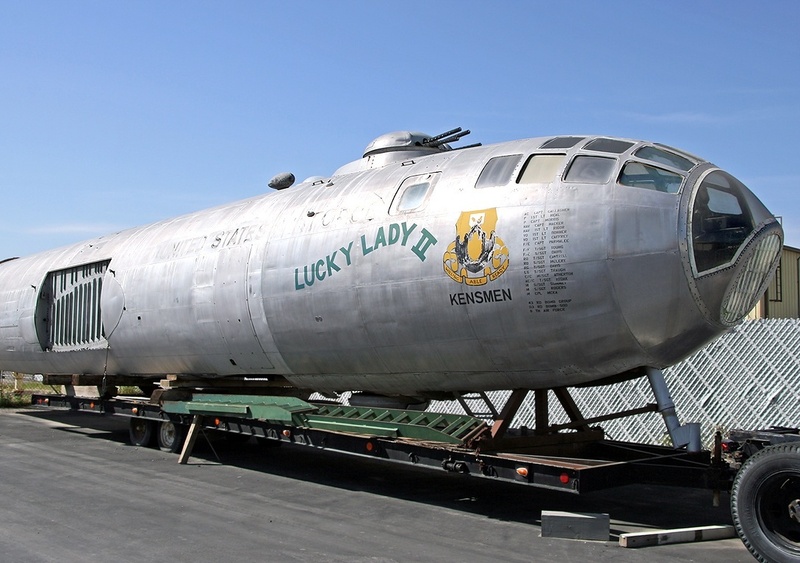 The unrestored fuselage of Lucky Lady II is at the Planes of Fame Air Museum, Chino, California.